NEW YORK, NY--(Marketwire - October 13, 2010) - Telx, a leading interconnection and colocation provider in strategic North American markets, today announced that it has nearly doubled the footprint of its data center at the 111 8th Avenue facility in New York City, considered the premier Financial Markets location in the NY Metro area. The addition of 40,000 square feet of capacity for financial institutions, telecommunications service providers, cloud providers and Software as a Service (SaaS) providers allows Telx to expand colocation and interconnection services and establishes them as the dominant provider in this key location. "The Telx 111 8th Avenue facility has become one of our key infrastructure growth locations in the New York metro area," said Patrick Flannery, Director of Engineering for Sumo Capital, a Telx Financial Business Exchange customer. "Telx's broad choice of network-neutral, third-party connectivity providers supports our high-performance trading infrastructure by keeping our direct network connections in New York City, enabling us to easily and effectively interact with new markets. Telx has built a high-value ecosystem for the financial services industry, and their expansion of the 111 8th Avenue facility will enable them to provide even more connectivity choice to their customers." This marks the second data center expansion at the 111 8th Avenue location in 2010, driven by Telx's commitment to meeting the requirements of the financial services industry in need of proximity-based colocation services, as well as cloud infrastructure as a service (IaaS) and Software as a Service (SaaS) providers in need of connectivity support for their high-availability applications. Telx is actively installing customers in the prior 2010 expansion which opened in September 2010. This new expansion offers Telx customers immediate access to additional fully built, raised floor data center space with up to 200 Watts per square foot. Telx's 111 8th Ave. data center also offers a direct connection into one of the main fiber optic arteries in New York City -- the Hudson Street Ninth Avenue fiber highway. "Once again, Telx has decided to add more data center capacity to our 111 8th Avenue facility in response to increased demand from our financial services customers, service providers and the broader enterprise," explained Eric Shepcaro, CEO of Telx. "By doubling our footprint in this destination location, we can immediately meet the power, latency, proximity, security and connectivity requirements of the most demanding financial services and enterprises and give them room for future growth." Financial firms can quickly and cost-effectively reach Telx's Financial Business Exchange -- an expanding ecosystem of exchanges, hedge funds, broker dealers, capital markets vendors, market data providers, order management vendors, buy-side and sell-side firms. Additionally, service providers can leverage Telx's industry-leading Global Marketplace of customers -- a community of hundreds of connectivity choices that ensure high availability and low latency. For more information, please contact sales@telx.com. 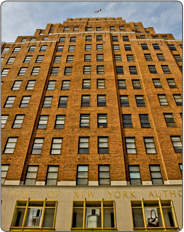 111 8th Avenue is one of the most important high-tech addresses in the world due to its strategic location atop one of the main fiber optic arteries in New York City, the Hudson Street Ninth Avenue fiber highway. Telx's data center suites in this location are in high demand by telecommunications, enterprise and financial Services companies in need of low-cost options, speed to market and latency critical proximity. In addition, with its robust ecosystem of service providers and enterprises, the 111 8th Avenue data center suites are optimal for secure enterprise cloud infrastructure as a service (IaaS) and Software as a Service (SaaS) environment. Telx is a leading provider of interconnection, colocation and business exchange services in strategic, high demand North American markets. With 15 premier facilities, Telx increases speed to market and reduces connectivity costs by providing direct connections to the industry's highest performance networks and access to more than 800 leading telecommunications carriers, ISPs, content providers and enterprises. Telx is a privately held company headquartered in New York City with four facilities in the New York Metro area, two facilities in Chicago, two facilities in Dallas, three facilities in California, (Los Angeles, San Francisco, and Santa Clara) and facilities in Atlanta, Miami, Phoenix and Charlotte, N.C. For more information about Telx, visit www.telx.com. To become a fan of Telx on Facebook, go to http://www.facebook.com/Telxgroup. 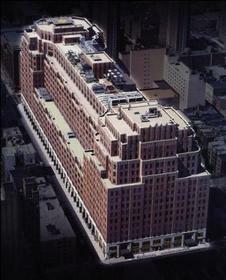 Telx's data center at 111 8th Ave. New York has expanded with 40,000 new square feet.